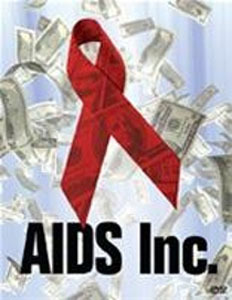 AIDS, Inc. is a film about the multi-billion dollar AIDS industry, and how it profits from continuing fears and misconceptions about the disease. While AIDS grabs the headlines and raises billions of dollars with celebrity endorsements and billionaire endowments, we are no closer to finding a cure than when the scourge first appeared 30 years ago. Could it be that after so many years of research, and so much money being spent, that the entire orthodox medical establishment has been wrong about AIDS, or even worse, has sought to profit on a system that it knew was flawed from the beginning?